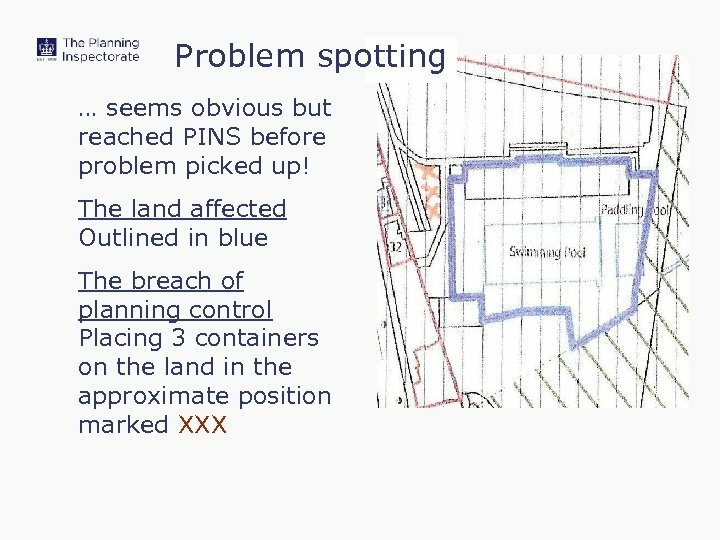 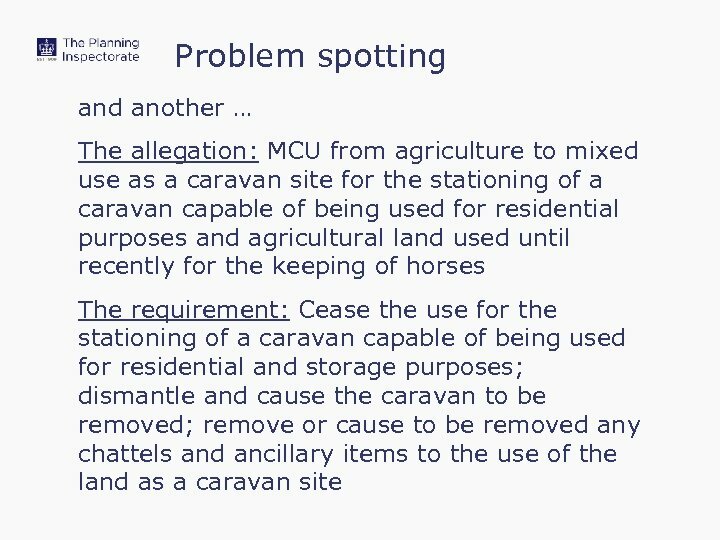 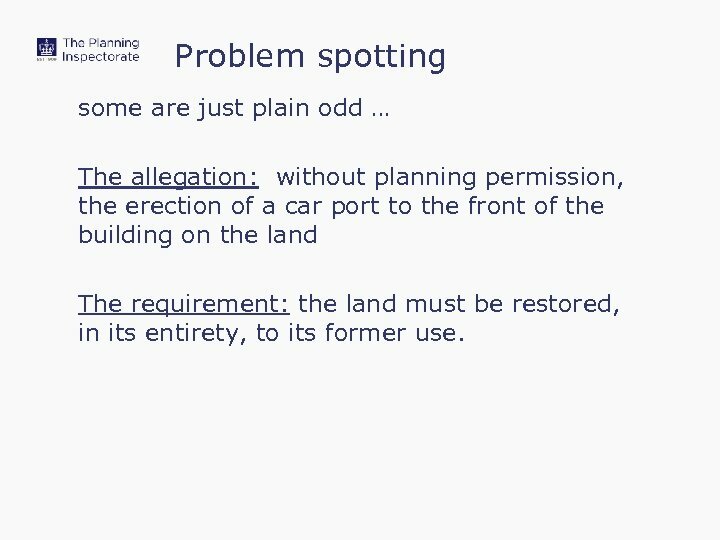 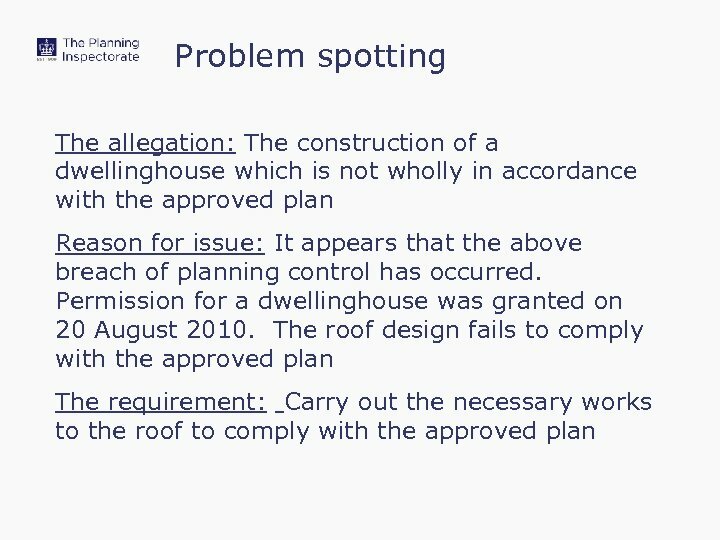 Problem spotting some are just plain odd … The allegation: without planning permission, the erection of a car port to the front of the building on the land The requirement: the land must be restored, in its entirety, to its former use. 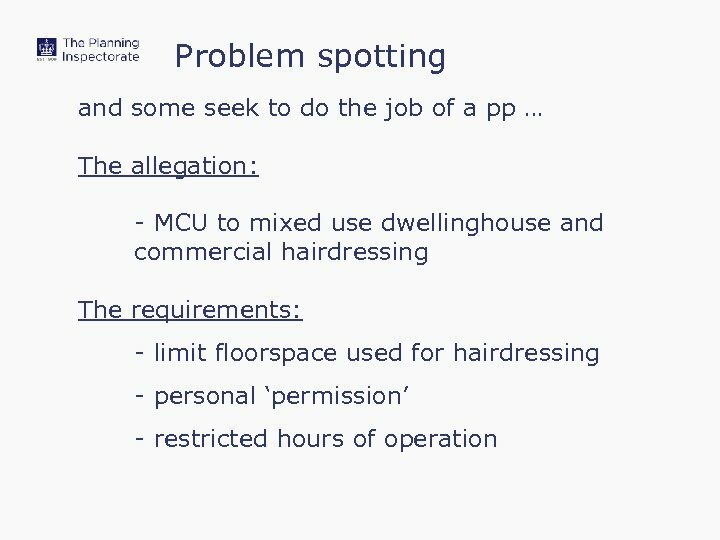 A step too far? 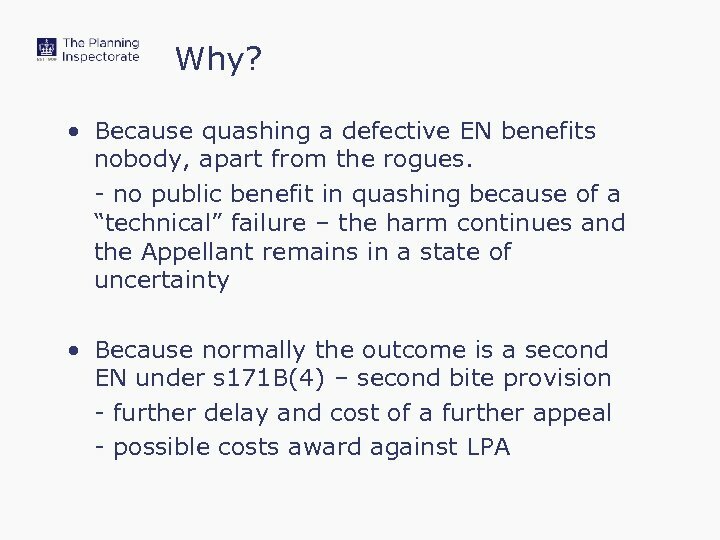 • Is the appellant in a position to deal with the implications of the change? 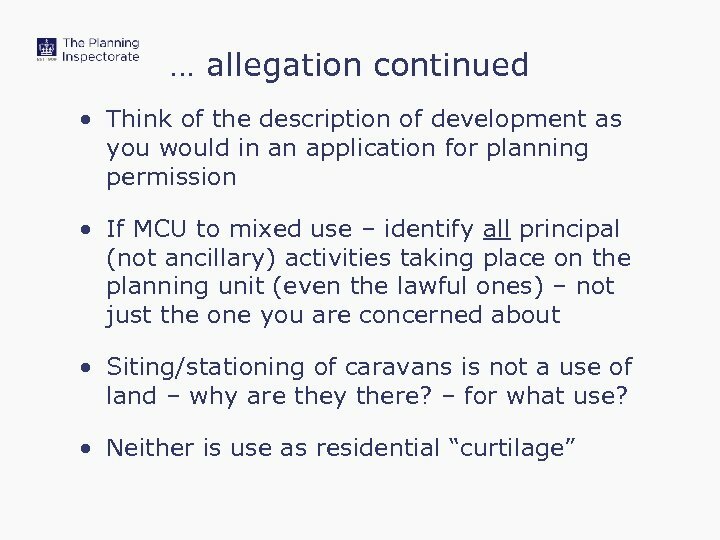 • Does extending the area bring in new occupiers who did not appeal? 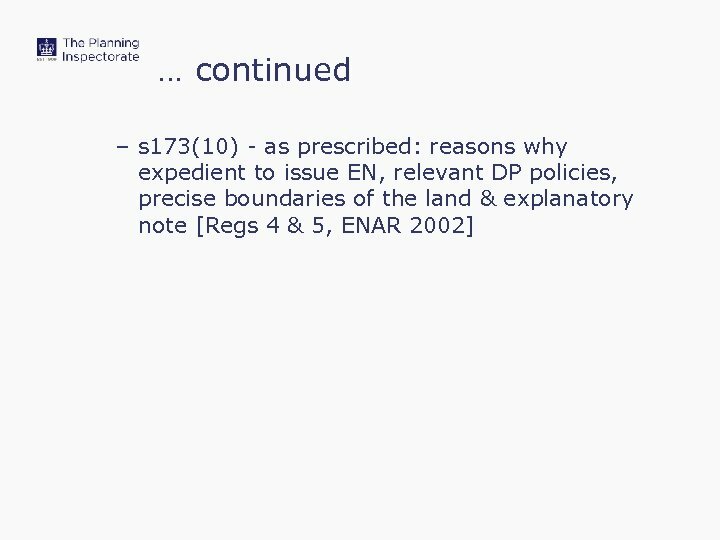 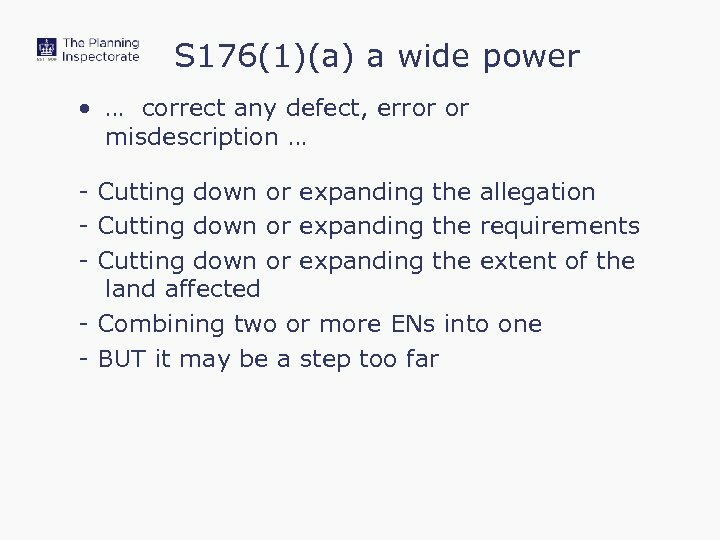 • Does extending the allegation bring in a s 173(11) problem? 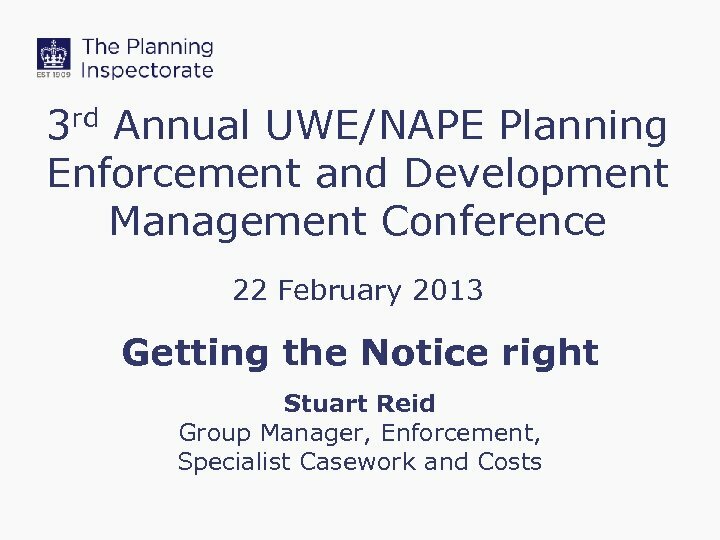 • Does widening the scope make the notice more onerous? 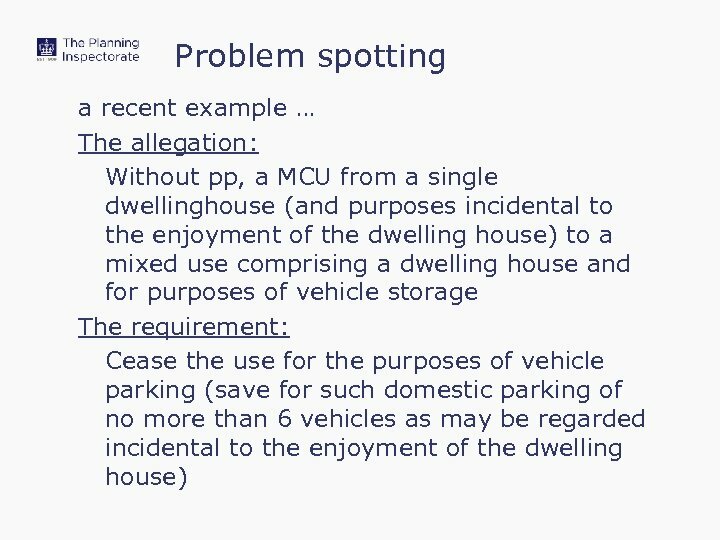 • If MCU/Bo. 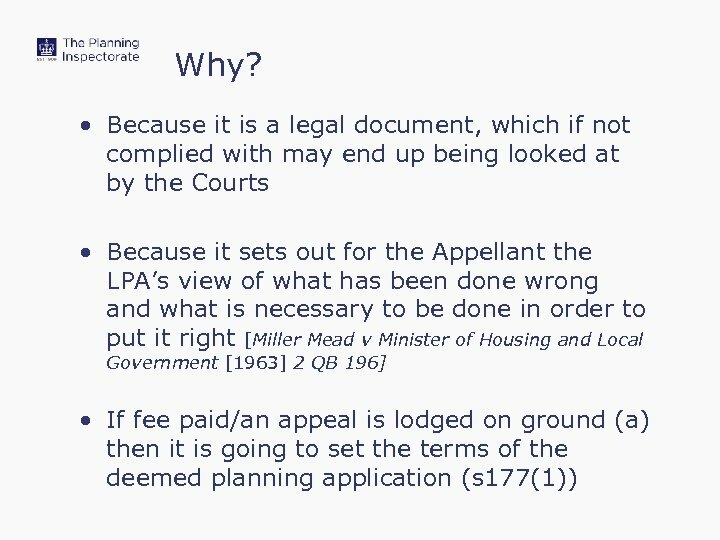 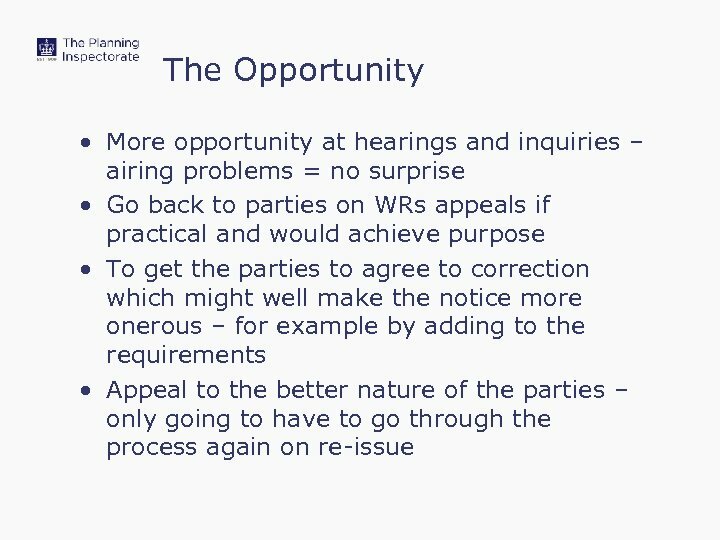 C changed to Ops could a ground (d) appeal have succeeded? 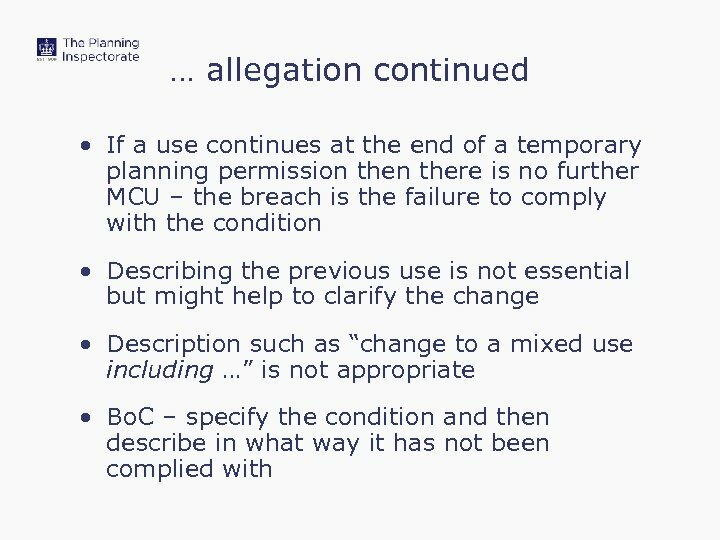 • Is there agreement to the changes? 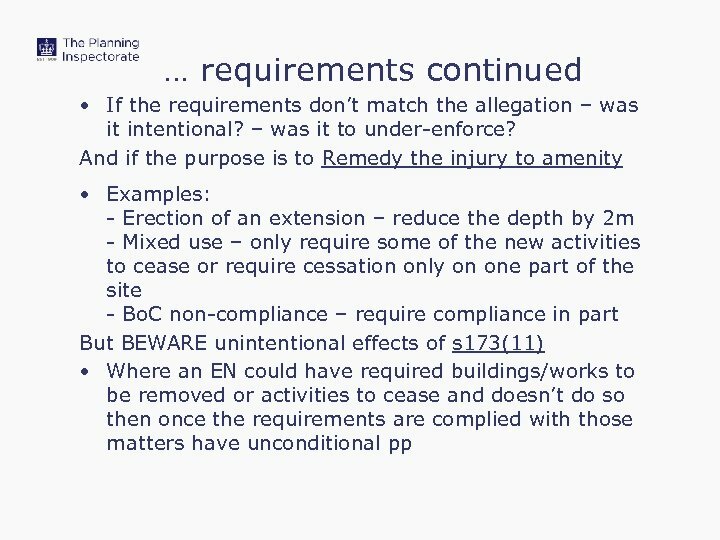 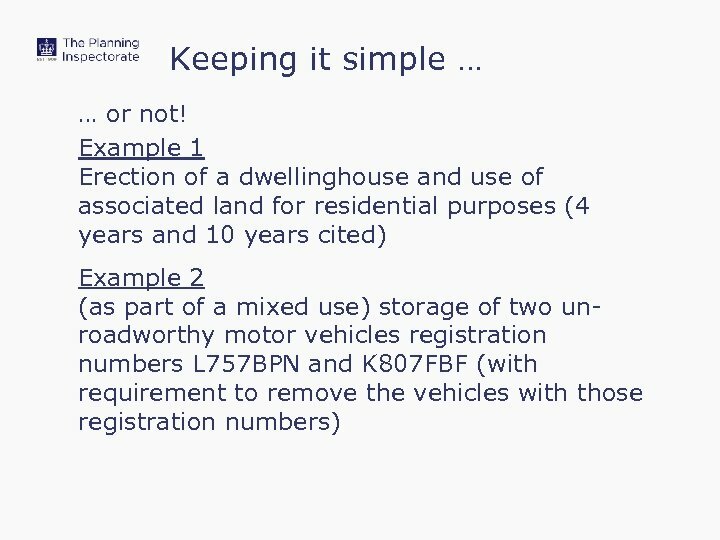 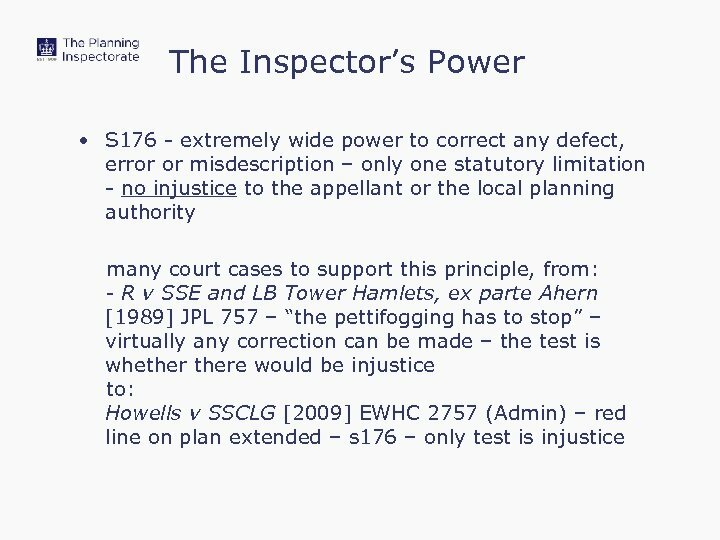 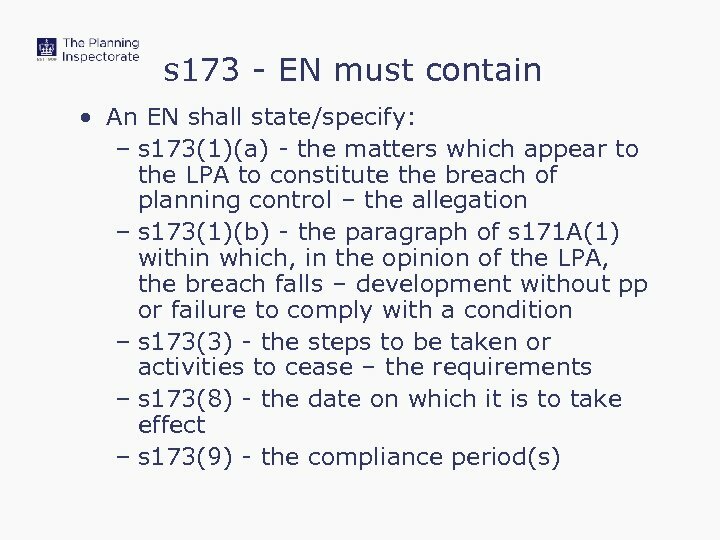 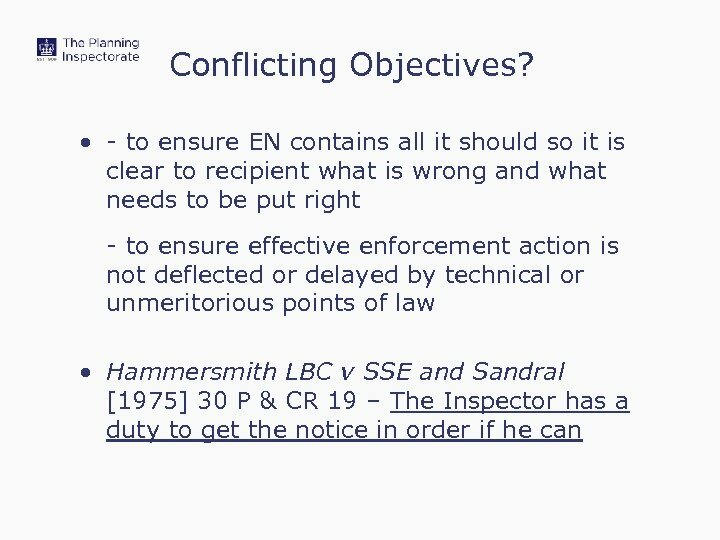 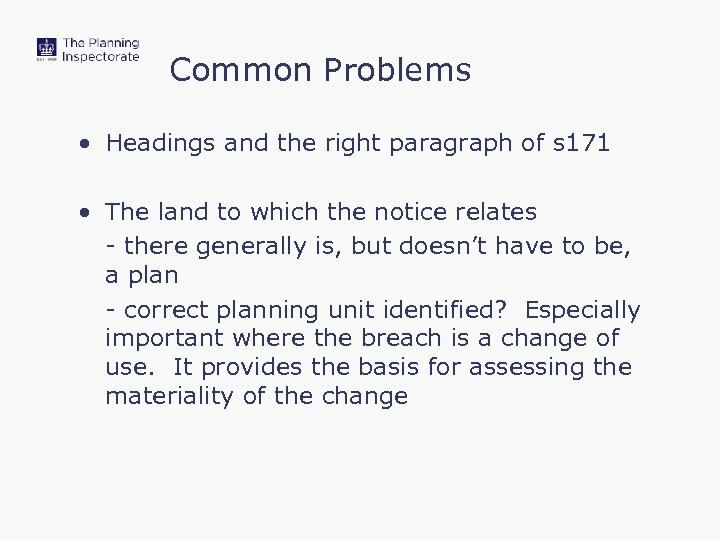 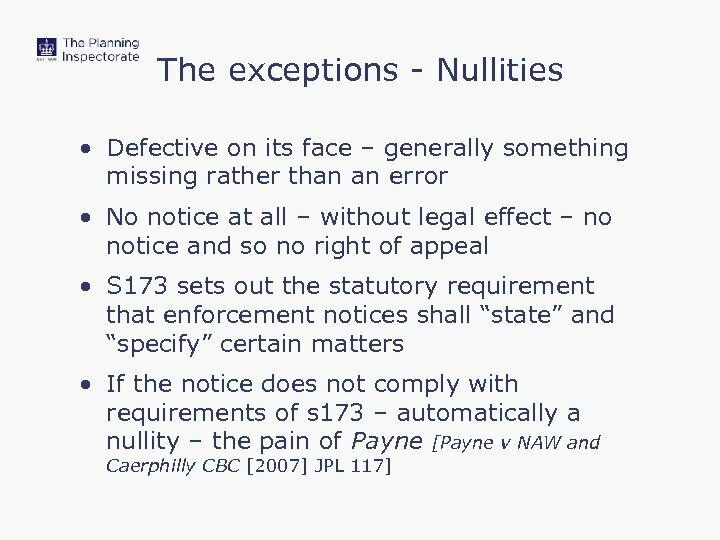 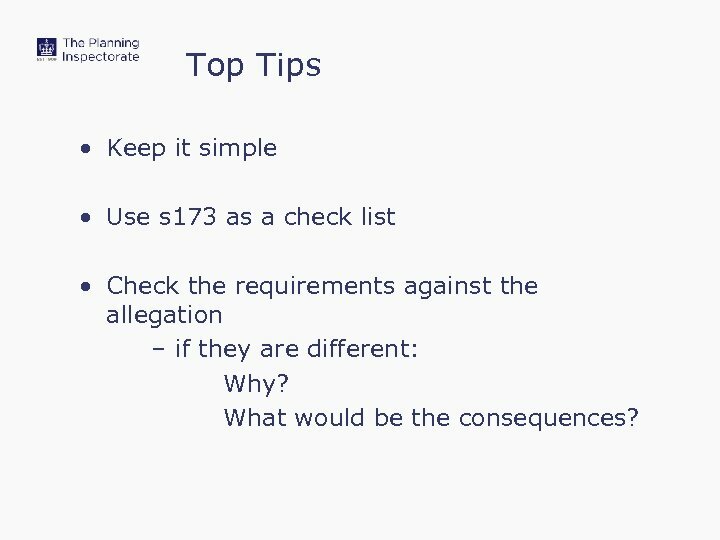 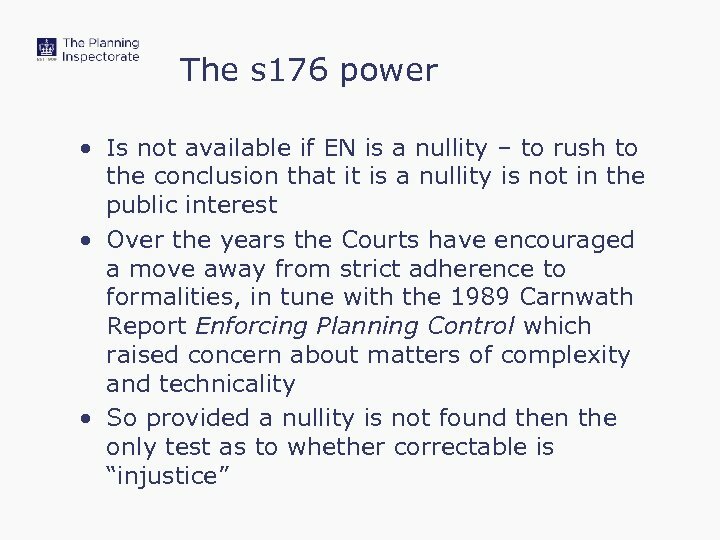 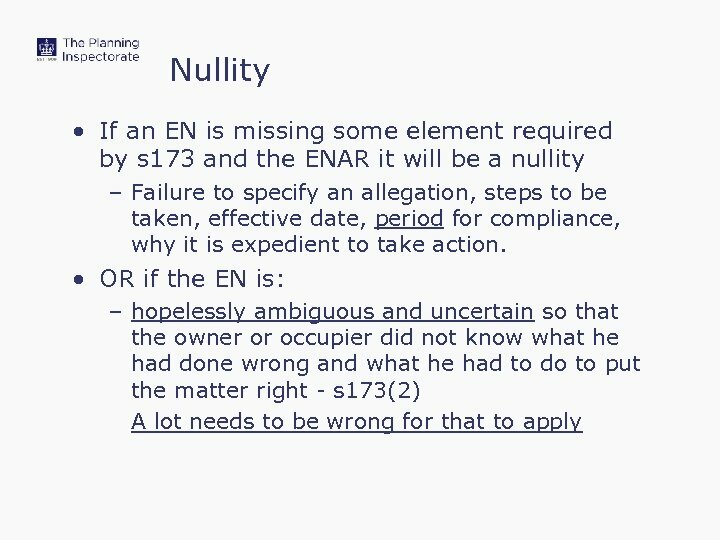 Top Tips • Keep it simple • Use s 173 as a check list • Check the requirements against the allegation – if they are different: Why? 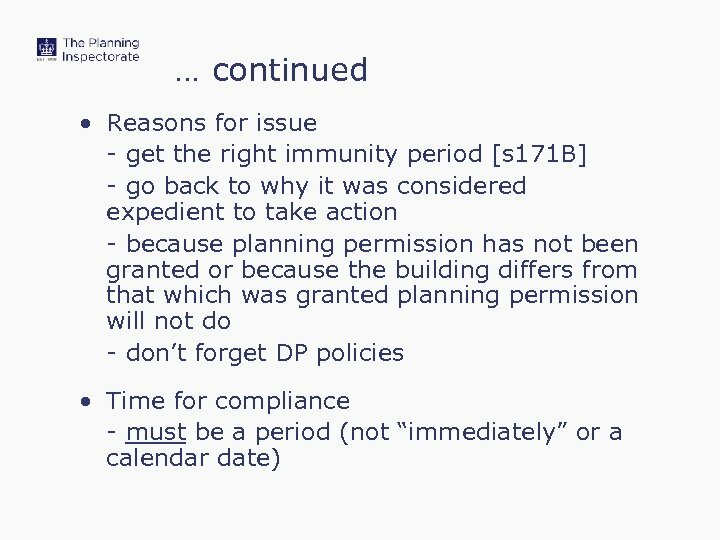 What would be the consequences? 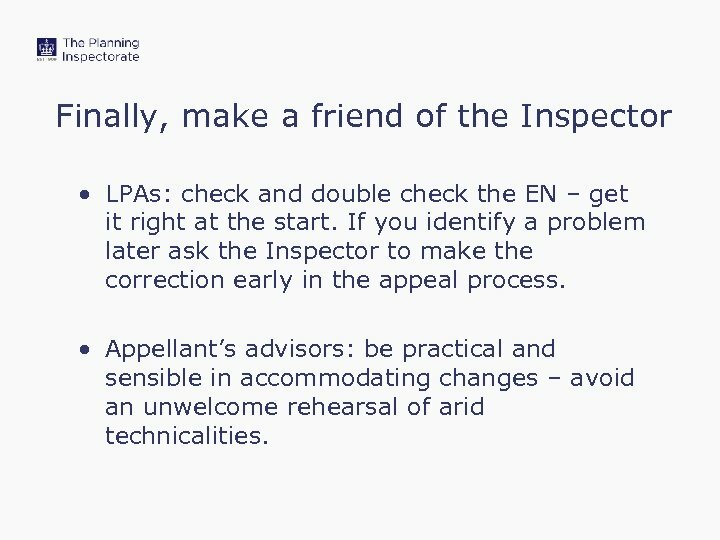 Finally, make a friend of the Inspector • LPAs: check and double check the EN – get it right at the start. 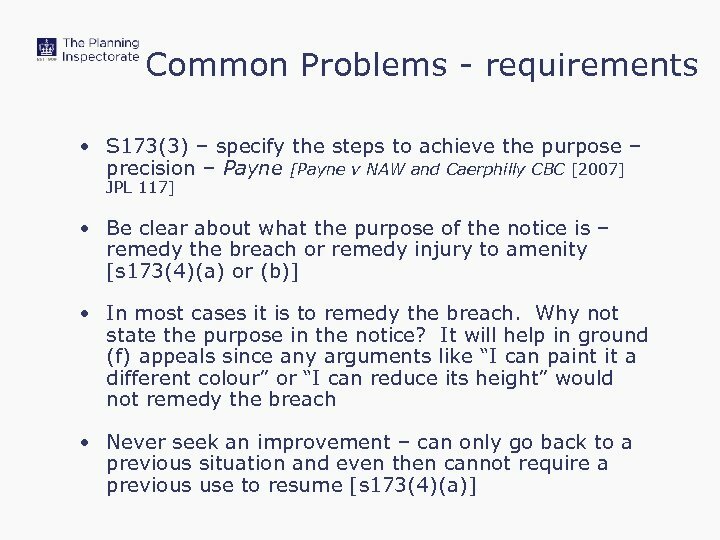 If you identify a problem later ask the Inspector to make the correction early in the appeal process. 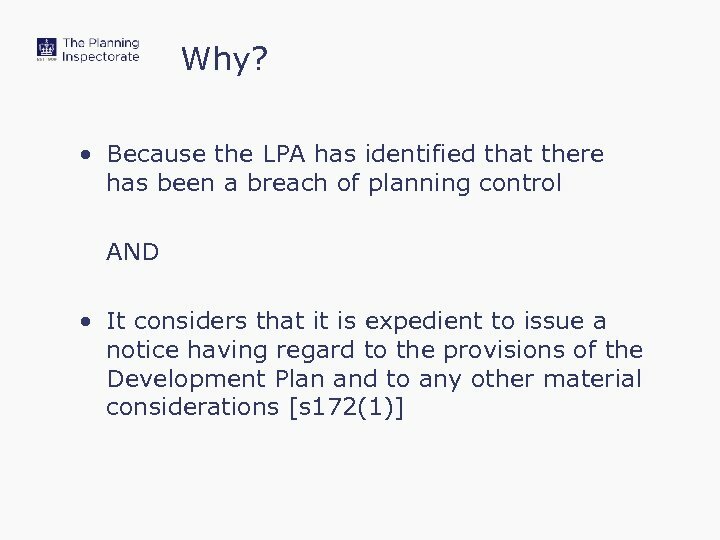 • Appellant’s advisors: be practical and sensible in accommodating changes – avoid an unwelcome rehearsal of arid technicalities. 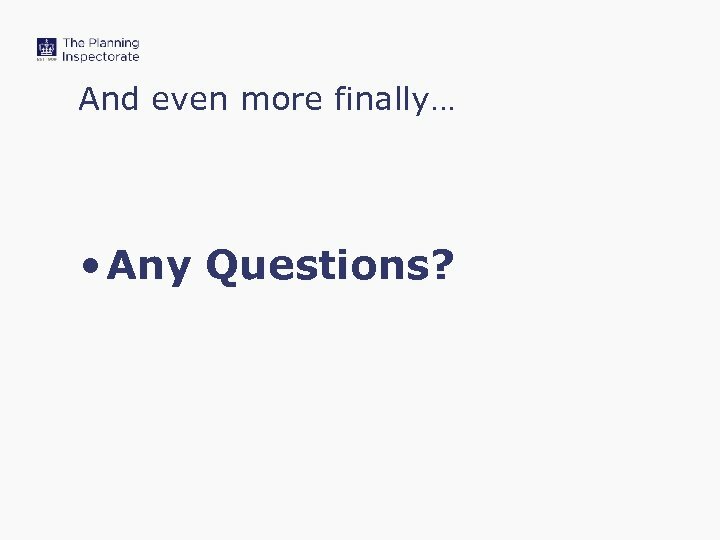 And even more finally… • Any Questions?